A light, clear Kolsch-style ale with a champagne-like mouthfeel, fruity nose and refreshing finish. — Washington Beer Awards Winner! Grapefruit, passionfruit, slightly dank hop character, medium malt body, spruce on the finish. 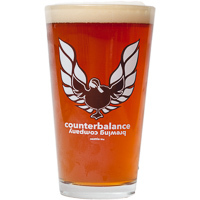 Rich amber colored pale ale with spicy rye, juicy northwest hops, and a touch of wheat. A big, bold beer with lots of roasted malts and just the right hop balance. Triple dry hopped hazy IPA with Vic Secret and Summer hops from down under, this hazy IPA is bursting with fruit flavors of pineapple, papaya, melon, and white grape. Light and refreshing to remind us that summer is just around the corner. Rich, bready malt-forward ale with pine and citrus hops. Exclusive house beer for the Copper Coin and Coastline Burger restaurants. Light, crisp malt bill with notes of pear, tropical fruit, and spicy black pepper. Light Czech-style lager with a dry, biscuit malt profile and a smidge of bright hops. Amarillo dry hopped sour wheat ale, featuring flavors of mango, nectarine, and citrus amidst a light floral hop character. 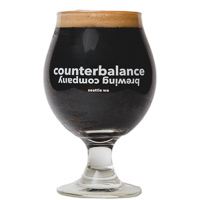 Dark caramel malts balanced by classic northwest hops with a smooth mouthfeel and toffee notes. 4th Anniversary Special Release — Aged one year in 2bar Spirits Straight Bourbon Whiskey barrels. A big, bold beer with lots of roasted malts and just the right hop balance. 4th Anniversary Special Re-Release — Aged one year in oak barrels. American Barley Wine Ale with flavors of pineapple, stone fruit, caramel. 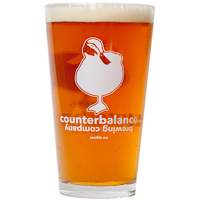 April 26th — Double-dry-hopped with Centennial and Equanot hops and flavored with raspberry puree and vanilla bean. May 10th — Complex, fruity, light-bodied and earthy with a mild hop character and noticeable alcohol presence. A golden, honey malt profile blasted by a ton of Northwest hops. Flavors of stone fruit, Meyer lemon, and spruce punch through the classic northwest c-hop character. The perfect balance of harmony and discord. 4th Anniversary Special Release — Fruity, Juicy, and a little dank with real mango puree. A variant of 2018’s Verboten porter with the addition of cocoa nibs. Flavors of dark chocolate, toffee, hazelnut, caramel, roasted malt, black pepper. Full of modern, late addition hops, but without the haze. 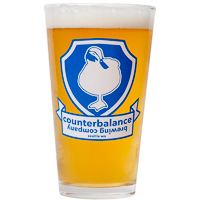 A hybrid IPA of sorts with a juicy & fruity taste, with hints of citrus & papaya, and a piney aroma. 4th Anniversary Special Re-Release — American Barley Wine Ale with flavors of pineapple, stone fruit, caramel. 6.1% ABV; 50 IBU; GRAINS: Pale, Cara-Pils, Flaked Oats, Flaked Wheat; HOPS: El Dorado, Meridian, Columbus, Citra. This beer is bursting with tropical flavors of pineapple, meyer lemon, a hint of dank, and just enough bitterness to let you know it’s an IPA. Roasted Barley; HOPS: Columbus, Chinook, Cascade. A bigger version of our Bad Wolf Dark Ale, brewed with dried coffee cherries and aged for 12 months in oak barrels. HOPS: CLUSTER, CHINOOK, IDAHO 7, MOSAIC. Juicy, hazy blonde colored IPA with flavors of pineapple, mango, tangerine. Golden with a slight haze. Flavors of stone fruit and melon along with a soft mouthfeel from the addition of flaked oats, yet carries a perceptible NW hop bitterness. A limited pilot batch only available in our taproom.